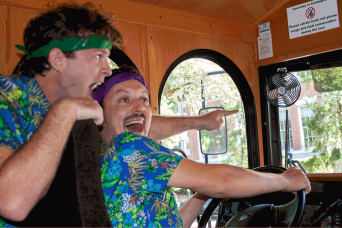 Our uninterrupted tour is fully narrated by experienced tour guides bringing alive the enchanting history of Georgia’s first city and brilliantly showing off the charming squares of Savannah’s Historic District and shares stories of the colorful characters that have made the city so inviting to visitors from all of the world. Aboard our Gray Line Air Conditioned Trolley. 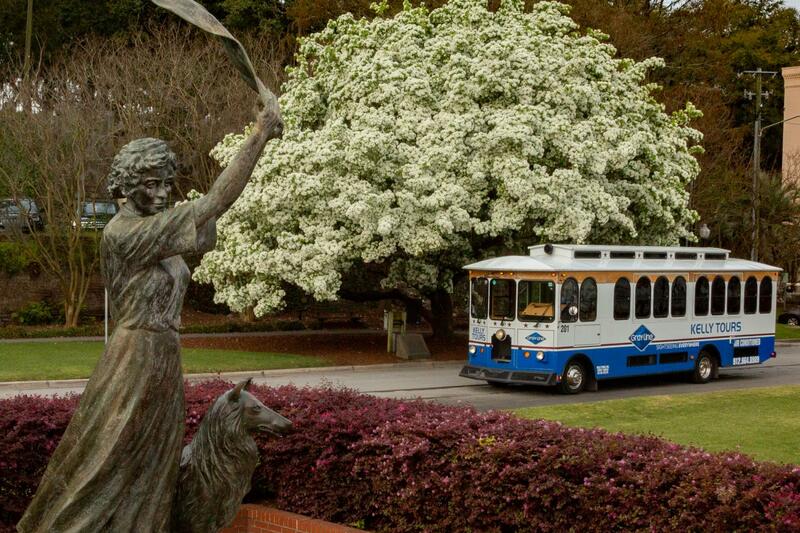 Fully Narrated 90 Minute Air Conditioned Sightseeing Trolley Tour with complimentary pick up from Historic District Hotels and Savannah Visitor Center. Hop On - Hop Off Services. Daily morning tour departs at 9:30 a.m. only. Afternoon tour departs at 12:00 p.m. and 2:30 p.m. Learned a lot while having a good time. Bought our tickets online but due to being in a hotel I couldn’t print them. I called the number and spoke with a very friendly and helpful woman who told me no problem, I’ll add your name to the roster. She did so and they were expecting us when we arrived at the tour departure location. The trolley was clean, comfortable and the driver made the tour fun and interesting! Give us 90 Minutes and we will show you over 275 Years. Relax as you pass under oaks dripping with Spanish moss, by beautiful historic Colonial & Victorian homes, and down cobbled stone streets from days gone by. 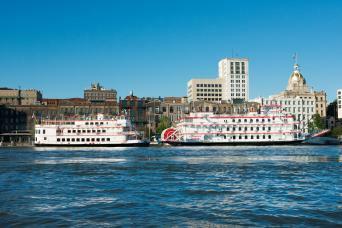 Mansion and churches, parks and monuments, City Market and River Street will all be viewed aboard our Air Conditioned trolleys. 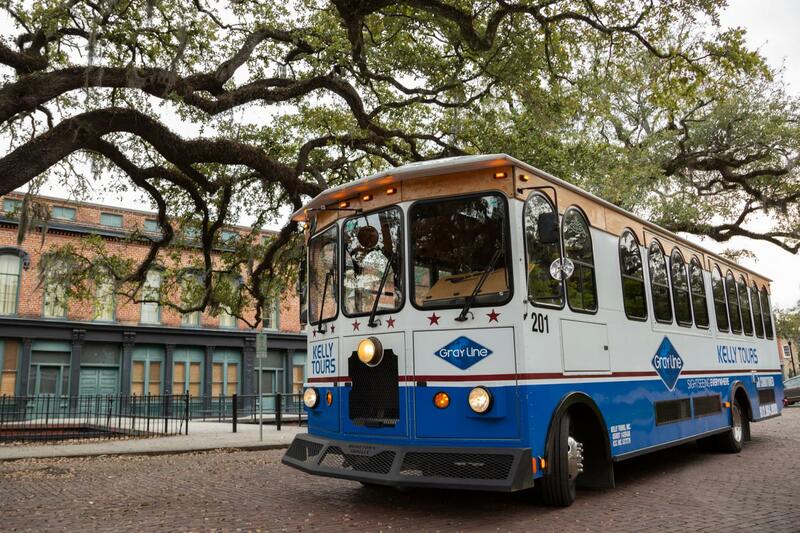 Grayline’s synonymous tag line is “Sightseeing Everywhere” and what better way to see all of Savannah than from this air conditioned trolley. 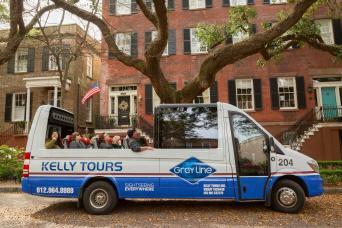 Kelly Tours - Gray Line Savannah offers departure times: 9:30 a.m., 12:00 p.m. and 2:30 p.m.